The M3 Condos have officially been announced for launch in September of 2018 and will be the most exciting project to be released in Mississauga. The M3 Condos Mississauga will be over 80 storeys tall and will offer striking architecture following in the footsteps of M1 and M2. The M City Park will be located just to the south of M3 offering residents a tranquil setting to enjoy among these spectacular towers. The development will once again be conducted by Urban Capital and Rogers Real Estate Development. 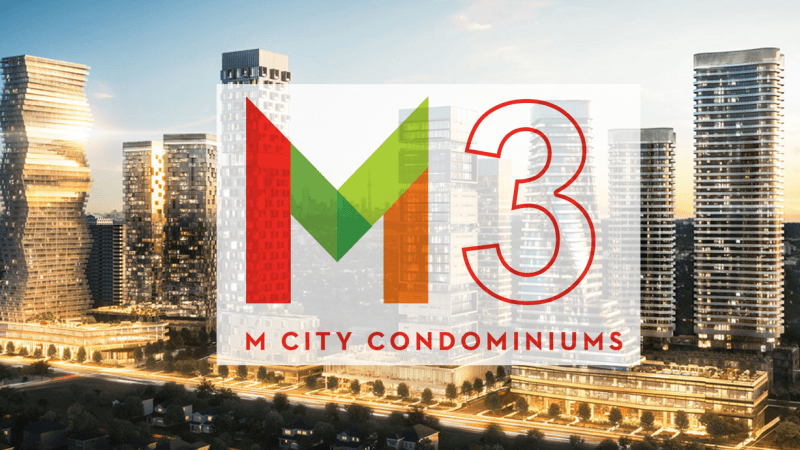 We maintain strong relationships with a number of builders and therefore will have first access to units once the M3 Condos launch in September. The M3 Condos are part of Roger’s massive 10 tower development known as M CITY. This defining project will bring worldwide attention to Mississauga with its modern aesthetic and sheer scale. For the M3 Tower, the developers enlisted IBI Architects to design the exterior of the building. Utilizing angled lines and, strong edges and hints of flowing facades, the architecture will be truly spectacular. Combine the sheer height of the building and you realize that the M3 Condos will offer something Mississauga has never seen before. Imagine the views from 80 floor up which will span from Downtown Toronto, Lake Ontario all the way to the Burlington Bluffs. The interiors will once again be designed by Cecconi Simone which means high end finishes and a truly contemporary atmosphere. 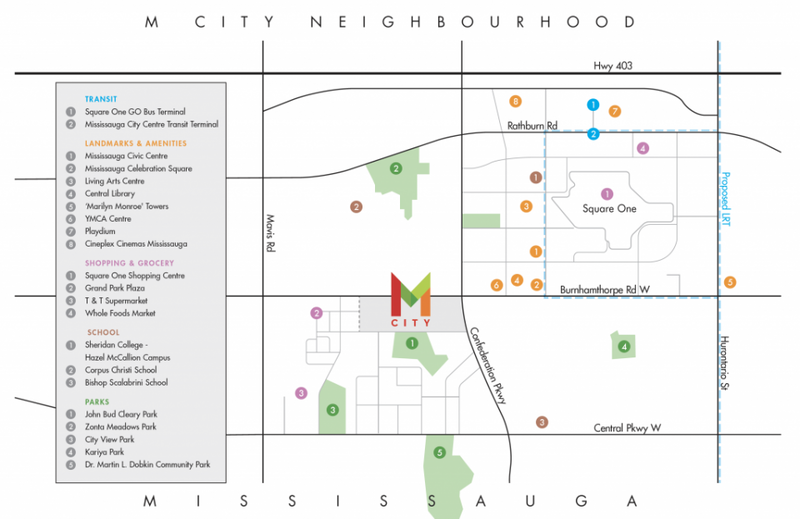 M City is a 15-acre master planned community that has been a wonderful contribution to Mississauga along Celebration Square it is right on Mississauga’s most inspiring and creative street. This master-planned community by Urban Capital Group is in Mississauga’s top location with retail, restaurants, 2 acre public park, and the amazing community of the Mississauga City Centre. Live in the heart of downtown Mississauga only minutes away from world class transit options including the proposed LRT. 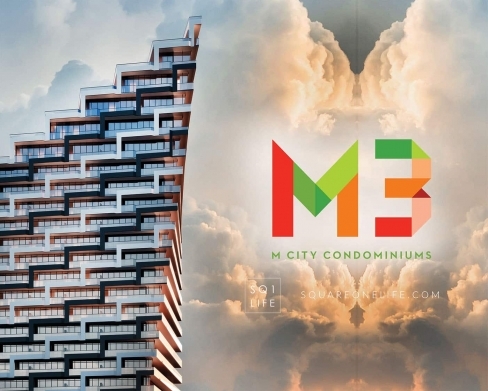 M3 is a new condo development by Rogers Real Estate Development Limited located at Burnhamthorpe Road West and Confederation Parkway in Mississauga. Suite sizes range from 390 square feet to 941 square feet of efficiently designed indoor space plus spacious outdoor balconies with every unit.